The Audi A3 and A3 Sportback, the premium compact models from Audi, are raising their sporty profile with a raft of improvements and an accentuated design. Innovative technologies such as the S tronic dual-clutch transmission with seven speeds and Audi magnetic ride, the suspension control system, makes for even greater driving pleasure. 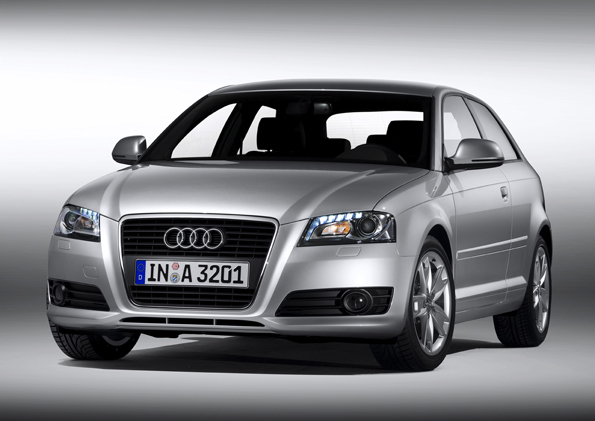 Its sharper, more striking design lends even greater expression to the A3 family. Additional equipment features, such as the Audi parking system at front and rear, the parking assistant and the reversible loadliner, also add to the appeal of these models. The Audi S3 developing 195 kW (265 hp) is now also available as a Sportback version, a new top model that rounds off the range. Shipping will commence in the summer, with prices starting at € 20,350. 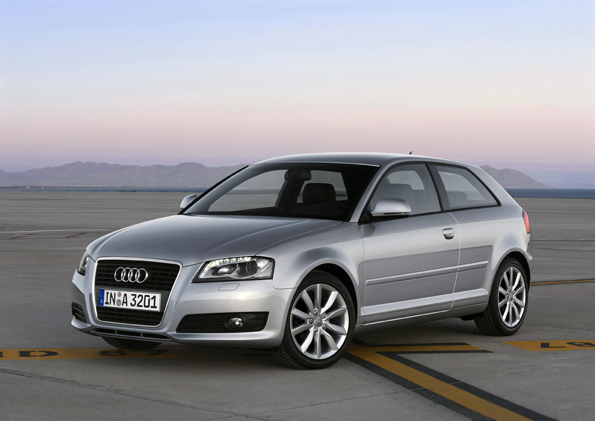 The Audi A3 created the entirely new market segment of the premium compact car when the first-generation model made its debut in 1996. The brand with the four rings has been notably successful in that market segment and has since built 1.9 million units of the Audi A3. After four successive record-breaking years, the one millionth specimen of the second-generation A3 – which went into production in 2003 – left the assembly line just a few days ago. Audi is now solidifying its lead. 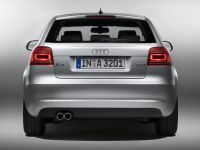 New visual details for the three-door A3 and A3 Sportback bring its stretched, sporty profile into the foreground. The front lid and fenders are more expressively styled, and the bumper and large single-frame radiator grille have been modified. A curved trim element in the headlamps known as the "wing" accentuates their technical perfection. Daytime running lights are standard features, and the optional bi-xenon headlamps incorporate LEDs. Down the sides, the highlight features are exterior mirrors with integral turn indicators, new door handles and attractive wheels. At the tail end, the modified bumper and the lights help this car make a grand exit; the A3 Sportback now has innovative fiber optic rods arranged in a flat, continuous strip that creates an impressive optical effect in the dark. 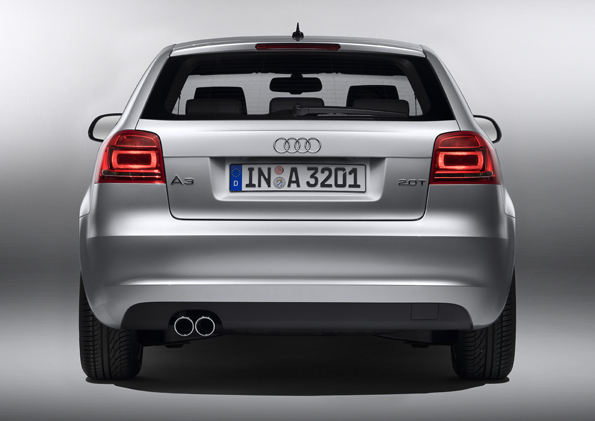 The three-door A3 has a modified tailgate with a new light edge. As a result of the design modifications, the A3 has grown by 2.5 centimeters (0.98 in) in length to 4.24 meters (166.93 in), while the sporty proportions of the Sportback remain virtually unchanged at 4.29 meters (168.90 in) in length. 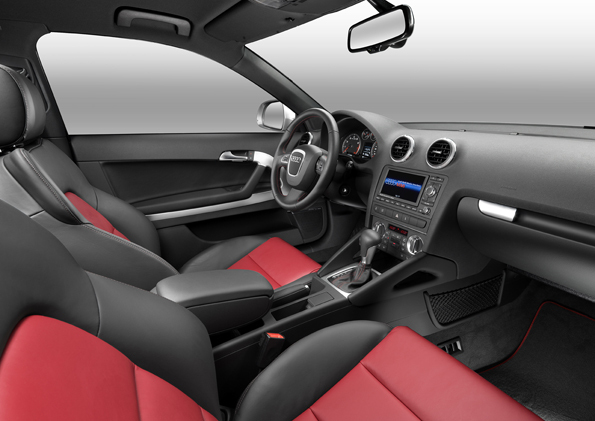 Inside the car, too, the designers fine-tuned the atmosphere of sporty elegance. Aluminum-look elements on the air vents, light switches and center console accentuate the premium character of the Audi A3 and A3 Sportback. The switches and controls beneath the audio system have been given a new, modern look. The instruments have black dials and red needles to reinforce the impression of precision and advanced technology, and a shift indicator displays the recommended gear in any given circumstances in the driver information system. The driver information system's display and the time, date and distance display – standard with the Ambiente and Ambition equipment lines – shows the information in high-resolution white type. 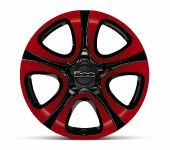 The leather sport steering wheel for the Ambition line has new aluminum trim clips, and Audi can supply a flat-bottomed leather sport steering wheel for the Ambition as an option. New inlays for the Attraction and Ambition, new colors and a wide selection of upholstery fabrics enhance the interior through their sportiness, impressive material quality and meticulous crafting. The upholstery range even includes Fine Nappa leather for the sport seats. The A3's trunk is the roomiest in its class, at 350 to 1,080 liters (12.36 to 38.12 cubic ft.), with an even larger 370 to 1,100 liters (13.06 to 38.83 cubic ft.) on the A3 Sportback. On quattro versions the trunk floor is a few centimeters higher, to accommodate the special rear axle. A particularly ingenious feature is available for the front-wheel-drive versions – a sturdy, reversible loadliner that is a practical, easy-to-clean tray e.g. for carrying wet items, which can be removed from the car as a carrying tray. 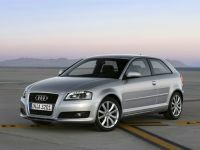 Audi can also supply the options of roof rails and a panoramic sunroof for the versatile A3 Sportback. As before, Audi is bringing the A3 and A3 Sportback onto the market with eight different engines – five gasoline and three diesel versions. Six of them are pioneering four-cylinder direct injection units with turbocharging. Their abbreviations TFSI and TDI encapsulate the strengths of Audi's engine technology – performance, high torque, dynamism, refinement and efficiency. The 1.6 unit develops 75 kW (102 hp), the 1.4 TFSI 92 kW (125 hp), the 1.8 TFSI 118 kW (160 hp) and the 2.0 TFSI 147 kW (200 hp), while the 3.2 quattro with its six cylinders musters 184 kW (250 hp). The 1.9 TDI delivers 77 kW (105 hp) and the 2.0 TDI 103 kW (140 hp) or 125 kW (170 hp), depending on specification. Both two-liter diesel engines have been extensively reengineered – a new common rail injection system now assures ultra-refined running. The 1.6-liter gasoline engine can also be supplied in conjunction with manual transmission for low-cost running on ethanol E 85 fuel. The diesel with an output of 77 kW (105 hp) is the power unit of the extremely efficient 1.9 TDI e version which, thanks to special fine-tuning measures, clocks up 100 kilometers on a mere 4.5 liters of diesel (52.27 mpg). 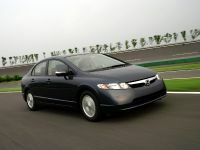 Most of the other engines likewise slash fuel consumption by as much as 15 percent. The 1.8 TFSI and the technically closely related 2.0 TFSI have been frictionally optimized and have new cylinder bores, pistons and oil pumps. The range of transmissions has been extended and become even more appealing. 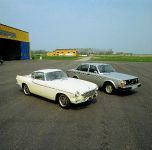 Almost all engine versions are supplied as standard with six-speed manual transmission. The 1.6 and 1.9 TDI are outfitted with five-speed manual transmission, and the 3.2 is available exclusively with the S tronic dual-clutch transmission, now also available optionally for all engine versions. The high-tech S tronic changes gears with extreme speed and smoothness. The driver can set it to operate in a fully automatic mode or change gears manually – either at the selector lever or with the standard shift paddles on the leather sport steering wheel (from 103 kW/140 hp). The S tronic on the six-cylinder engine, the 2.0 TFSI and the diesel versions has six speeds, whereas the 1.6, the 1.4 TFSI and the 1.8 TFSI feature a newly developed seven-speed S tronic. Both its clutches are dry-running – an innovative approach. This means that they do not need a separate oil supply, further adding to their already impressive efficiency. The seven gears are closely spaced for a sporty response, though the top gear is sufficiently high-geared to reduce the engine speed, cutting fuel consumption as a result. The quattro versions, which put the A3 in a different league to the other players in the premium compact class, likewise have even more to offer. The all-wheel-drive system is available for five engine versions – for the 1.8 TFSI, the 2.0 TFSI, the 3.2 (as standard) and the two 2.0 TDI versions. In its latest technical form the central hydraulic multi-plate clutch responds even faster when the engine's power needs to be redistributed between the front and rear wheels. 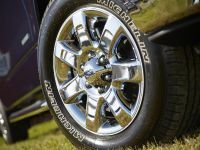 This increases stability, traction and driving pleasure for the driver. The standard-fit dynamic suspension, too, provides safety, dynamic handling and comfort all rolled into one. The captivating precision with which the Audi A3 and A3 Sportback handle and their well-balanced character owe a great deal to elaborate concepts such as the four-link rear suspension and the efficient electromechanical power steering. 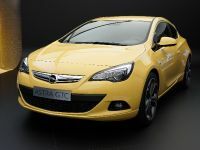 There is optional sport suspension that supports the body 15 millimeters (0.59 in) lower; it is standard on the Ambition, in conjunction with 17-inch alloys. The option of acoustic glass for the windshield (standard on Ambiente) enhances occupant comfort and improves the car's acoustic behavior. There is another new feature that puts the A3 and A3 Sportback streets ahead of their challengers: The adaptive-action shock absorber control system by the name of Audi magnetic ride. This system overcomes the age-old conflict between dynamic behavior and ride comfort. The driver can choose between "Normal" and "Sport" programs by flipping a switch. A magneto-rheological fluid circulating in the shock absorbers changes its flow properties within milliseconds when a voltage is applied; this affects the damping characteristic, which can be varied from comfortably supple to crisply firm. Audi can supply the electronic damping control system as an option for the gasoline versions from 118 kW (160 hp) upwards, as well as for both two-liter TDI versions. 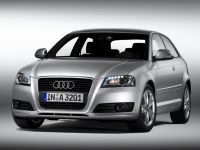 The equipment range for the Audi A3 and A3 Sportback has also been greatly extended. As before, there are three lines to choose from. 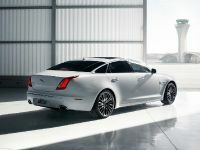 Attraction is the version with compelling character; the dynamic-looking Ambition for instance includes sport seats, sport suspension and 17-inch wheels, and the luxurious Ambiente equipment line features such items as cruise control, a light and rain sensor, an interior lighting package and the new addition of a windshield with acoustic glass. For an even more customized specification there are the S line, comprising an exterior package and a sport package, the deluxe Audi exclusive line, and the choice items available within the Audi exclusive range. 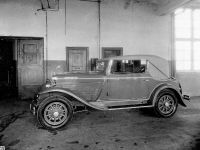 On all equipment lines and engine versions for the German market, the chorus radio system with four speakers is now standard. There are also modern infotainment systems available, including the Bose Sound System; the Audi exclusive range includes a connection socket for an iPod. 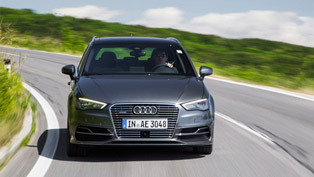 The array of other new options demonstrates the high technological standard of the A3 car line. These include deluxe automatic air conditioning, adaptive light – the dynamic cornering light system – and the Audi parking system for front and rear, displaying the distance from an obstruction via the frequency of the signal emitted. Then there is the new parking assistant. 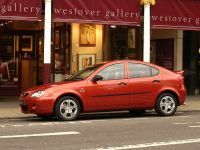 Its pioneering ultrasound sensors scan the parking spaces by the roadside as the car is driven slowly past; the driver is informed in the instrument cluster if one of them is sufficiently large to back into. If the reverse gear is engaged and the accelerator pressed, the system manipulates the electromechanical steering to guide the car automatically into the space. All the driver need do is attend to the accelerator, clutch and brakes. 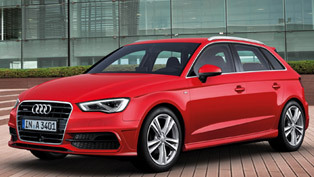 The dynamic range-topping member of the A3 family sports new features, too. 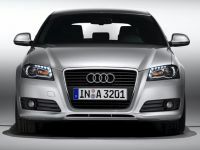 There is now a second top model on the market, with the S3 Sportback joining the three-door Audi S3. Both versions are equipped with the same engine, the reengineered 2.0 TFSI with an output of 195 kW (265 hp). With 350 Nm (258.15 lb-ft) of torque available constantly from 2,500 to 5,000 rpm, the direct-injection, two-liter turbo catapults the three-door model from 0 to 100 km/h (62.14 mph) in 5.7 seconds (Sportback: 5.8 seconds); the top speed is limited electronically to 250 km/h (155.34 mph). 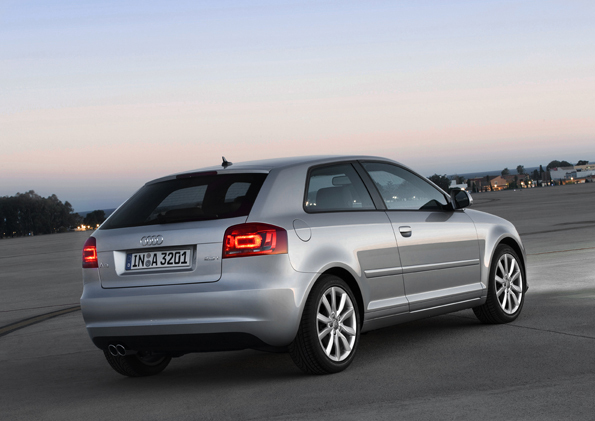 Yet the S3's fuel consumption is astonishingly low, at an average of 8.5 liters per 100 km (27.67 mpg). A six-speed manual transmission handles the business of getting the power from the engine to the standard quattro driveline; 18-inch wheels provide a firm grip with the road. The sport suspension holds the body 25 millimeters (0.98 in) lower and integrates lightweight aluminum components. Black brake calipers act on 17-inch disk brakes. Audi's compact premium sports model offers the reflexes of a top athlete. It reacts spontaneously to steering movements and its handling remains stable, precise and almost neutral right up to its physical limits. When coming out of a bend it veritably seems to dig its claws into the tarmac, enabling the driver to start accelerating again at the earliest possible moment. Like the A3, the S3 has been optically modified and is clearly distinguished by a number of striking lines, for example on the radiator grille, on the bumpers and on the roof spoiler, as well as by the aluminum-look exterior mirrors. Inside, the driver and front passenger are greeted by sport seats with cloth, Alcantara/leather or all-leather upholstery; Audi exclusive bucket seats are available as an option. Aluminum pedals, three different styles of inlay and a black or silver headlining create an exclusively sporty look. Deluxe automatic air conditioning, an anti-theft alarm and xenon plus headlamps with LED daytime running light extend the range of standard features. The further optimized Audi A3, A3 Sportback and the two S3 versions are about to go on the market; shipping of the new models will begin in the summer. In conclusion, the comprehensively improved A3 comes with an extended range of standard equipment, including the chorus radio system – all at a starting price of € 20,350.